The Impala is one of Chevy’s oldest models, and the 2017 Chevy Impala in Cincinnati, OH is carrying on the model’s tradition of excellence in the sedan world. Not much has changed from the 2016 model, but nothing really had to. Apart from minor revisions to naming and availability of trim levels, it’s unchanged. Which is a huge plus, because the Impala ended up carrying over everything that made the previous model such a successful sedan. It has the same great design, stellar performance, and abundance of technology and safety features. While these features are all exceptional, it’s what they provide collectively that’s the Impala’s biggest strength. Chevy’s Impala has something for every sedan-lover. Whether you’re looking for a family-sedan, one that’s dressed to impress business clientele, as a shared vehicle bought by you and your significant other, or an affordable sedan that provides a little extra kick in the performance department. The Impala can do all that and more. It has plenty of space to comfortably fit four adults — or two adults and three smaller children — and has enough cargo space to load it up for a road trip across the country. On the higher trim levels, the Impala provides a surprisingly luxurious experience. It’s one of the few vehicles where shelling out more money is actually worth it, and provides you with one of the best full-sized sedans on the market. In fact, the 2016 model was named “Best Large Car for the Money” by the U.S. News & World Report. Since not much has changed for the 2017 model, it’s safe to assume that it’s going to earn that distinction again. Regardless of trim level or model, the 2017 Impala has a six-speed automatic transmission and is front-wheel drive. But, there are a few different engine choices. The standard engine is found on the LS and LT trims, which is a 2.5-liter four-cylinder that puts out 196 horsepower and 186 lb.-ft. of torque. EPA estimates peg the Impala with this engine at 22 mpg city and 31 mpg highway, which is no doubt aided by the stop/start system on that engine. If you’re looking for a little more power at the expense of fuel economy, the 3.6-liter V6 engine is available on the LS and LT trim, and puts out 305 horsepower and 264 lb.-ft. of torque. It’s estimated to return 18 mpg city and 28 mpg highway, which isn’t bad for a V6 on a full-size sedan, but noticeably less than the aforementioned 2.5-liter. But it’s worth it, considering a V6-equipped Impala will accelerate from 0-60 mph in just 6.4-seconds, right up there with the Toyota Avalon and Chrysler 300, both at the top of the full-size sedan chain. 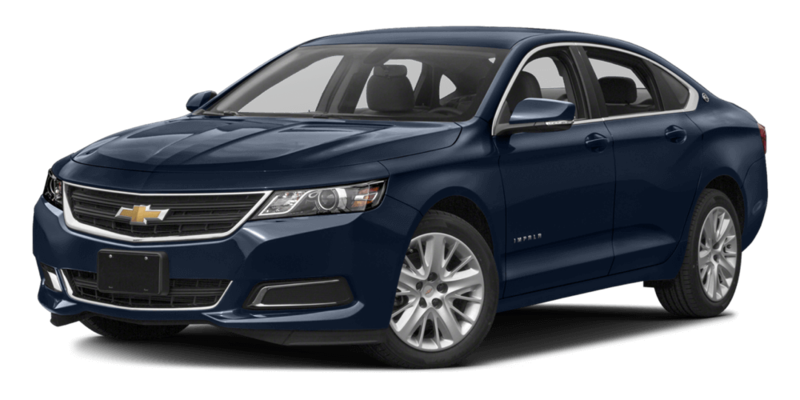 If you want a bit of a different driving experience, Chevy also offers a dual-fuel Impala V6 that can run on either compressed natural gas (CNG) or gasoline. Like most (if not all) 2017 Chevy models, the Impala offers support for both Apple CarPlay and Android Auto, allowing you to use your phone to listen to music, get directions with Apple Maps/Google Maps, send and receive texts, make and receive calls, and much more. Another staple in new Chevy vehicles is the built-in 4G LTE Wi-Fi, which allows you to use your cellphone without wasting any data. 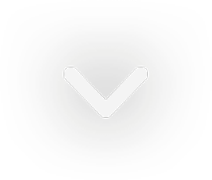 Alternatively, it also ensures 100% connectivity for the more important things, such as GPS or cell service for making emergency calls. Chevy’s well-renowned MyLink 8-inch touch-screen is the center of attention, and ties either Apple CarPlay or Android Auto together with the other functions in a crisp and high-resolution graphics display. In government crash testing, the 2017 Impala scored a perfect five stars for overall crash protection. That score included five stars for frontal-impact and five-stars for side-impact collisions. The IIHS (Insurance Institute for Highway Safety) gave the Impala the possible best overall rating of Good, and top rating of Superior in the frontal collision warning and automatic braking systems category. This is because the Impala is big on safety, and Chevy made sure to throw in the latest and greatest safety tech it has to offer, like Forward Collision Alert, Lane Departure Warning, Side Blind Zone Alert, and Rear Cross Traffic Alert. Also an available feature is the OnStar Guidance Plan and OnStar Automatic Crash Response System. The latter of the two is meant to automatically send emergency services to your location via high-accuracy GPS in the event of a collision. Standard safety includes ten airbags, and a steel safety cage that encompasses the entire cabin. The first thing you’ll notice about the 2017 Impala is its athletic and powerful design. Thanks to the detailed contours on the outside, you can’t help but notice. The stance is reminiscent of the Camaro, and the wide grille helps reinforce the performance-oriented look that the contours suggest. A wide and sculpted hood is also present, and the windshield and roofline are left plain for aerodynamic purposes. Which is fine, because it’s primarily what gives the Impala that sleek nature. On higher-trim levels, the LED running lights make the front-end pop even more, and chrome is added onto the grille, with the iconic Chevy bowtie sitting proudly in the center. A wide and powerful stance — with muscular rear quarter panels and powerful contours — come together with the sleek and aerodynamic figure in order to give the Impala a design that stands out on the road. Creating the perfect amalgamation of style, luxury, practicality, and athleticism. On the inside, you’ll find an unexpected level of luxury — regardless of trim level. Of course, the higher in trim level you go, the more luxurious it will be. But, seeing the unexpected chrome touches and wood grain accents is a pleasant and welcome surprise. Upholstery ranges from cloth to leather, and there is plenty of passenger space for front and rear passengers. One of the advantages of a full-size sedan is its larger size when compared to a small-midsize sedan. 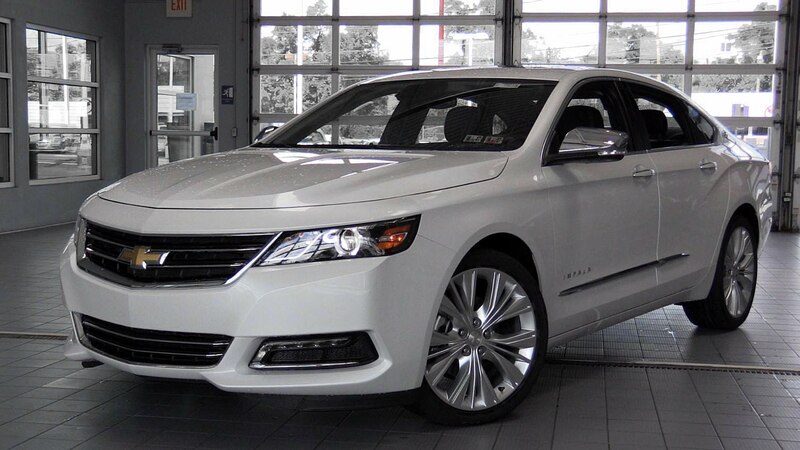 But the Impala takes it a step further, and offers up to 18.8 cu. ft. of storage space. With the luxury features and spaciousness found inside the Impala, combined with the quality of the build and design, the Impala is the perfect road trip vehicle. The interior has low levels of wind and road noise, and the design makes sure to handle bumps smoothly. It’s a restful and serene vehicle whether you’re driving for five minutes or five hours. Many consumers underestimate the value of buying from a brand-certified dealership. McCluskey Chevy is a certified Chevy dealership, and we’re able to offer advantages that the other guys can’t. For one, we get the latest and greatest Chevrolet models fresh off the factory floor, like the 2017 Chevy Impala. Secondly, as a certified Chevy dealer, we’re able to provide consumers with not only new and used cars, but also high-quality certified pre-owned vehicles as well. These are vehicles that have been throughly inspected by the manufacturer’s expert technicians, and then approved for resale in a condition that’s like-new, with low miles, and within a certain model age. Finally, it means we can professionally train all of our staff, and we have the knowledge and experience to give you what you want in the car-buying world. Every member of our team is professional and courteous, and will be able to assist you with whatever you may need when it comes to: picking your car, financing your car, and maintaining your car for as long as possible.